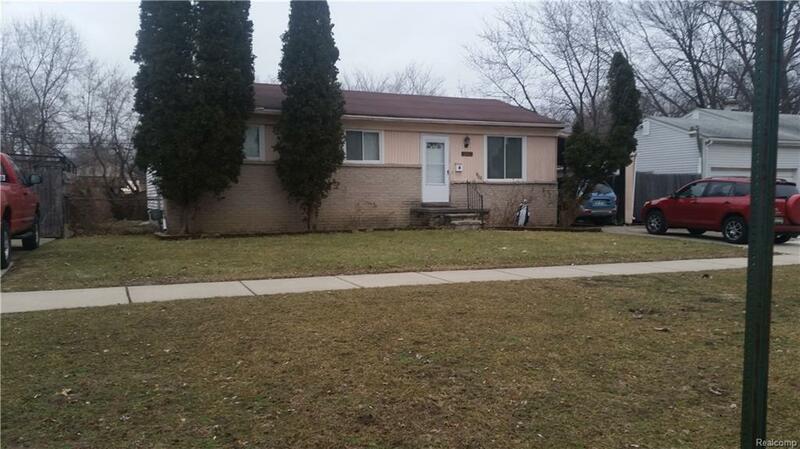 IT IS A GREAT OPPORTUNITY TO OWN THIS ALL BRICK RANCH HOUSE AND TWO FULL BATH, LOCATED IN HEART OF MADISON HEIGHTS WITH HARDWOOD FLOOR IN ALL OF THE FIRST STORY WITH TONS OF UPDATING INCLUDING THE BRIGHT KITCHEN, WINDOWS AND MORE. ALSO JUST INSTALL A NEW FURNACE ON 02/09/2019. CENTRAL A/C. LOT OF STORAGE, PARTIALLY-FINISH AND HUGE BASEMENT. FENCED CLEAN OPEN BACK-YARD/NO TREES. HUGE-LONG CAR PORT TO PARK FOUR VEHICLE. EASY TO SHOW. THE NEWER WASHER AND DRYER ARE STAYING.